It's been over three hundred years since the Deus Pinnae appeared above our atmosphere. From this gift, humanity has risen anew, branching out across interstellar space to colonize the far-flung reaches of the cosmos. A new age of industrial progress grew with our expanding horizons: the age of manufactured evolution. Altered by advance sciences and cybernetics, Homo sapien has changed as much as the constellations in our many skies. Yet, behind the veil of progress and ingenuity that has brought us sailing through a sea of stars, the dark matters of human nature persevere. Ambition is written in our genes. How willing are you to adapt to achieve greatness when the galaxy is against you? 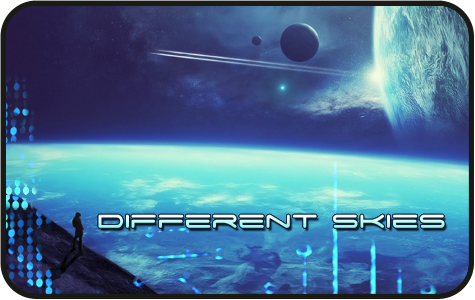 Different Skies is an original sci-fi RP.